Holiday: Aur Island at Mersing, Johor. 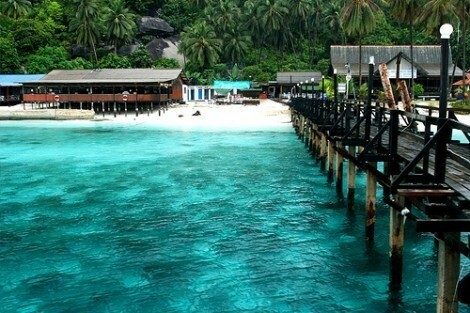 Aur Island is known locally as Pulau Aur. This island located about 65km east of Mersing Johor, Malaysia. The beautiful underwater views is part of the Johor Marine Park that is rich in marine life. The lagoons, corals and offshore pools make it become a tourist attraction. Before the government gazette the area as Marine Park, it has for many years been a frequent favourite stopover point for fishermen. 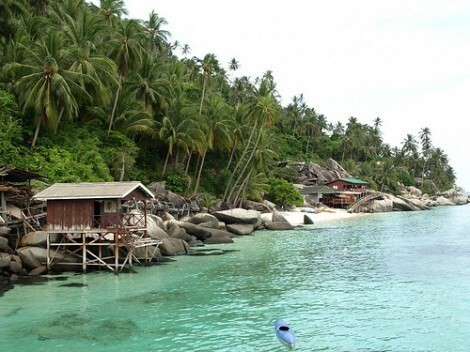 Due to its quit a distance apart from the mainland of Peninsula Malaysia, Aur Island offers the crystal clear waters and become the most exciting dive sites in the region. Marine life commonly seen by divers such as Napoleon Wrasse, White tip Sharks, Manta-Ray, Barracudas, Rays, Jacks, Yellow back Fusiliers, Bump Head Parrot fish, Angelfish, Titan Trigger Fish and Turtle. 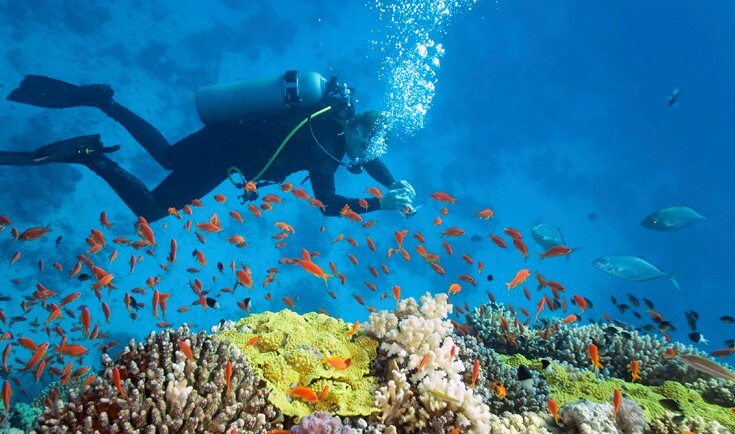 Experience the tropical waters of Malaysia that can offer some of the world's awesome scuba diving location. This is the place richly endowed with some of the dive best possibilities. You can dive with whale sharks swimming around, hover around immense gorgeous coral gardens and walls, or even dive on shipwrecks. The population is spread along the coastline in small village with less than 10 houses. You can find that there are no roads or vehicles around the island. The main industries for this island local villagers are fishing and supporting diving activities on the island. The island is surrounded by warm crystal clear waters teaming with beautiful marine life. In the past, Aur has been well known to Chinese sailors for centuries. There is a map printed in the 17th century which derived the map from the famous voyages, Admiral Zheng He in early 15th century. He identifies Aur as two island (as indeed it does appear to be if we look from a distance) and according to its two peaks that been called Dong Zhu Shan (east Bamboo Mountain) and Xi Zhu Shan (west Bamboo Mountain). There is no diving centre located on the island and all dive trips must be pre-arranged before entering the island. 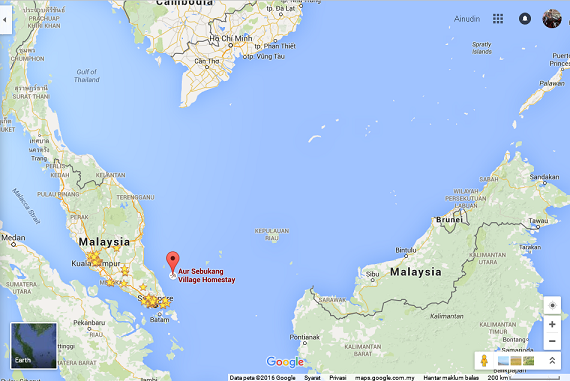 The packages usually including the land transportation from Singapore or Kuala Lumpur to the Mersing jetty. 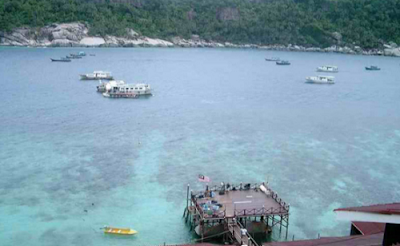 Departure by boat transfer to the resort island on Pulau Aur with 6 dives and full board included. Great packages are available from most dive operators in Singapore or Kuala Lumpur.